Like the old days, Dr. Cusak treats PEOPLE, not just bodies. She listens, explains, cares, and does not rush you outthe door. Of course, she also knows her stuff. I would recommend her in a (ahem) heartbeat. Like the old days, Dr. Cusak treats PEOPLE, not just bodies. She listens, explains, cares, and does not rush you out the door. Of course, she also knows her stuff. Iwould recommend her in a (ahem) heartbeat. 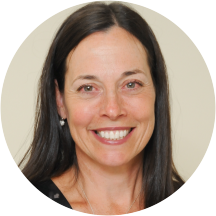 Dr. Evelyn Cusack is a concerned and interested cardiologist serving the communities of Stamford and Darien, CT. Dr. Cusack attended the University of Massachusetts, where she received her medical degree, and completed her residency in internal medicine at Rhode Island Hospital. Dr. Cusack is certified in cardiovascular disease by the American Board of Internal Medicine and is affiliated with Stamford Hospital in Stamford, CT. Dr. Cusack is sensitive to the uniqueness of each patient's situation and adapts her consultations and treatment options appropriately to accommodate individual needs and concerns. Dr C was very thorough & clearly an expert in her field. She was able to speak to my questions with answers that were understandable & sensible. All people in the office were professional along with pleasant. I would highly recommend Dr Cusack for any cardiology need. I see DR. Cusak every couple of years for a follow up. She is a very caring and knowledgeable doctor. I would highly recommend her.